In 2007, the Earth Hour campaign originated in Sydney, Australia when 2.2 million residents of the city and 2,100 businesses voluntarily turned off their lights and unplugged non-essential devices. The campaign was dedicated to raising global awareness about power consumption and quickly gained international popularity. On March 23, 2013 from 8:30-9:30 p.m., the dedication to Earth Hour became a convincing sign that there is hope for global environmental change. Whether it evokes peer pressure from the rest of the world or simply cooperation to help the environment, the campaign could be the start of the commitment to a greener planet. There was a worldwide buzz the entire Earth Hour weekend, with people taking to social media to share their experience. Starting on Friday night straight through Sunday afternoon Earth Hour trended on Twitter. A sharing of candlelit images and many newly inspired commitments to helping conserve energy flooded the Internet. More so, those who unintentionally missed Earth Hour shared their remorse and were looking for ways to make up for it. To be expected, there was some who disapproved of Earth Hour by questioning motives and concerns of hypocrisy; however, the overwhelming support eclipsed the few critics. The movement continues to gain awareness and support from not only active citizens but global landmarks and multi-billion dollar businesses. In 2013, the National Hockey League (NHL) participated in Earth Hour for the second consecutive year. At the Air Canada Centre (ACC) in Toronto the work lights were dimmed across the arena and lights in the lobbies, hallways, etc., were reduced by 66% during Earth Hour. Even in an industry that relies heavily on advertising, the ACC shut off the lights of all exterior advertising. The New Jersey Devils organization adjusted the arena’s systems so that the building drew less energy during Earth Hour. Despite Earth Hour falling on a Saturday in 2013, which is typically the NHL’s busiest night, the league still pledged a commitment to conserving energy. Several world landmarks also committed an effort to the movement this year. Las Vegas, a city notorious for its extravagant lighting, participated in Earth Hour by switching off many of the lights in the main strip’s casinos, two of which being Caesar’s Palace and the Luxor. Other iconic structures around the world, such as the Eiffel Tower and the Great Wall of China, turned off their lights for the hour. There is a myriad of images circulating online showcasing the many landmarks that went dark during Earth Hour 2013. A collection of these images can be found here. The momentum of Earth Hour has brought the planet together in a collective effort to give back to Mother Nature. This movement seems to breathe life into the transition to a more ecologically responsible planet. 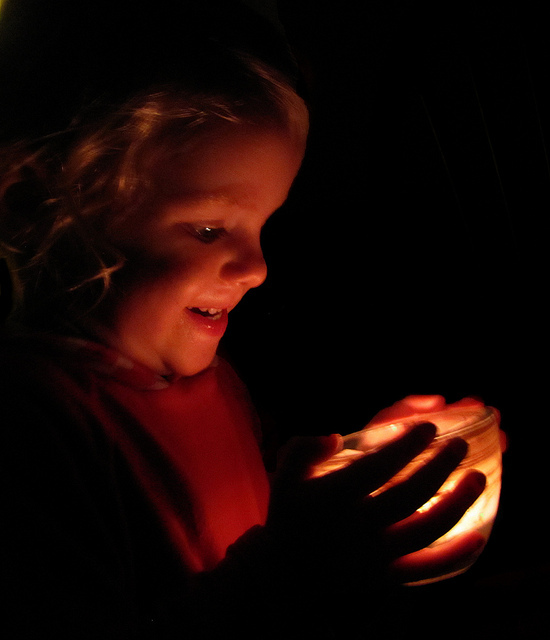 Anyone can participate in Earth Hour simply by turning off their lights. Earth Hour has turned a random hour into a chance to try something different. Why not try the ambience of a candlelit dinner rather than in the midst of buzzing fluorescent bulbs? It is only fair that we dedicate our time, even if it be 60 minutes, to the planet who enables every minute of our lives.